2013 SELAH Award winner, Children’s category. 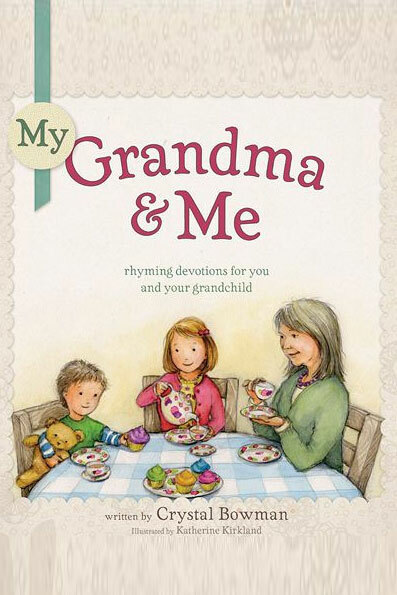 My Grandma and Me is the book every grandmother wants to share with her toddler-age grandchildren. Each devotion includes a scripture, a rhyme explaining the theme of the verse, and an interactive song or prayer. In addition to the fun yet faith-filled words, children will enjoy the sweet full-color art throughout the book that has a nostalgic tone for Grandma. The book closes with additional scriptures grandma can use to pass along her faith: the Lord’s Prayer, Ten Commandments, 23rd Psalm, Beatitudes, and a special prayer for her grandchildren. This delightful book will not only become Grandmother’s favorite, but it will leave a lasting and important impression on the faith development of many toddlers. Also included are tips and helps on Grandmas sharing this devotional with their grandchildren who are far-away using the telephone and Skype.